I designed, illustrated and created this label art for client Lightfield BBQ who reached out to me on HAI. 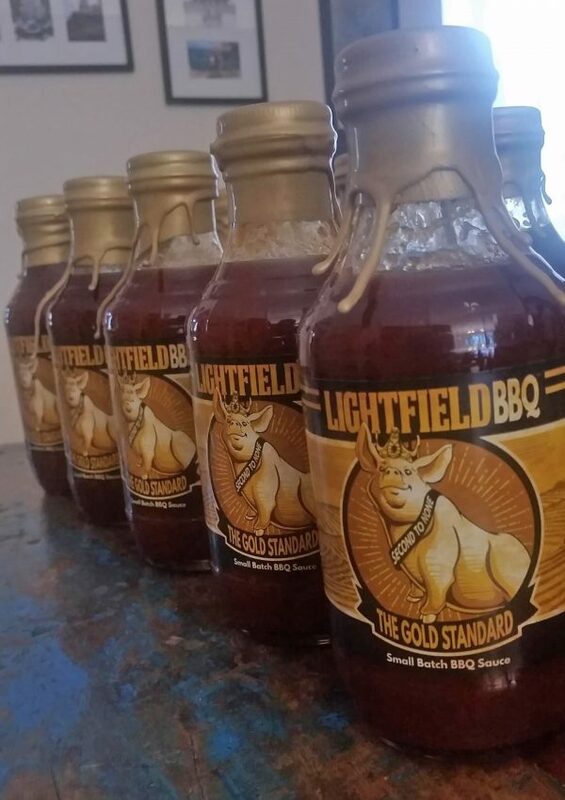 This is small batch BBQ sauce and they were wanting artwork that is reminiscent of custom beer labels. So I went for a vintage look with a bit of attitude thrown in for good measure. Rob has not submitted any more news. With 32 years of professional experience as an artist, illustrator, graphic designer, creative director, and a dynamic artistic collaborator, My talents have led me through an amaz… Show more. Send a message directly to Rob Csiki. With 32 years of professional experience as an artist, illustrator, graphic designer, creative director, and a dynamic artistic collaborator, My talents have led me through an amazingly rewarding career. Over the years I have worked with various toy and hobby companies in the areas of: conceptual illustrator, screen print artist, packaging and product design. During that time I have gained a great deal of knowledge and expertise in the fields of marketing, and brand development. Some of the companies I have worked with include: Hasbro, Marvel, IDW Publishing, USAopoly, Loot Crate, Estes, Revell, Racing Champions/ERTL, Maisto, Bburago, NASCAR, Stombecker and Tootsie toys. I have also applied my experience and talent to create unique and highly desirable poster art for film and television. As my pieces reach the masses, they have already garnered the praise and excitement of a growing list people in the movie industry including: James Gunn, Chris Pratt, Paul Rudd, Peyton Reed, Ron Perlman, and Doug Jones.